This post is part of my Docubentory, which catalogs all my bento boxes and tracks the different lunches I’ve made in them. View all bentos for this box. 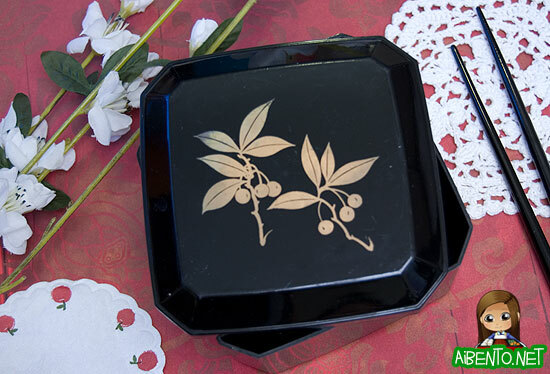 This box is made of plastic and is very small, so I probably would only use this to pack a side salad to accompany another bento or to pack a small snack size bento. It makes a cheapie clacking noise when you put the cover on. I purchased this at the Marukai 99 Superstore in 2007.